risk-taking | You Can Get Fit! I’m finally resurfacing from reading the virtual piles of Steve Jobs articles, here to see you all again. As a business owner, I very much admired his keen sense of really knowing his clients, and especially knowing what his market wanted before they themselves knew. He truly changed the consumer electronics game especially in the past 15 years. I read an anecdote on a site in the past week, where an author described having visited a big box electronics store in 1999, when the iMac came out (you know, the ones that came in different colors). The author overheard a customer expressing her disappointment that the store was out of the tangerine-colored iMacs, since they would best go with her drapes. Now… that’s design innovation. Enough of the business chatter–but before I move on, I’ve used these events as motivation to expand my corporate fitness clientele. One seems like it’s going to be a sure bet (though lots of paperwork on my end) while the other may take some convincing. But–stay outrageous, my friends, in this one precious life that we have. What one step are you going to take today to change your life? 2. And now, for something less healthy: cookie dough recipes that are safe to be eaten raw. OK–now, it’s time to go and do something outrageous with your life! What’s it gonna be? I feel like I’ve already answered this before… I must say, throughout the past year recovering from my medical mishaps, I’ve truly discovered mortality. It’s funny, throughout childhood, college, and my 20’s, I always felt “not old enough”, as though I could while away the days without a worry in sight. Then, one day, something changed: I felt as though I was chasing time and had to make every minute count. There was no transition between the two phases. I’m not saying that I feel “old” by any means, just that I very much appreciate the life that I have. And I’ve mentioned the “one thing” I want to do in a previous post, so I’ll leave it at that. I’ve had several of these, actually, and these experiences are gratifying, exciting, terrifying, refreshing… this is why I seek them out. They are moments of true self-discovery, and ways in which we truly live. One of my first “self-blossoming” moments (other than acting/musical performance in high school and college) was my first experience as a college professor. Ten years ago, I was a full-time, tenure track faculty member at a community college, in charge of all organic chemistry classes and labs–that’s a lot for a 27-year-old! I was flattered to be given all the responsibility, I was terrified to have the responsibility (as well as a group of students learning solely from me), yet at the same time I was excited to wield the chalk in my own hand and lead the class using my favorite teaching techniques. It was a job where, some days, I was just a few pages ahead of the students–but that was part of the thrill. Setting A Blog Goal (Yes, I Can! )–How You Can Help! So, “they” say that one of the ways to actually achieve your goals is to make them public, right? Well… here I go. A few days ago, I was talking with a fellow fitness instructor friend, discussing our colleague T, who was diagnosed with breast cancer toward the end of last year. Several of T’s friends–and hopefully T–will be participating in the 3-Day Breast Cancer Walk this fall. All of our friends have been asking for donations, but as a fitness instructor with a long-term injury (read: pretty much jobless), I’m unfortunately not in a position to give cash. How can I help???? Which made me set a new goal: by July, increase the readership of this blog, so I can have a blog bake sale big enough to donate a sizeable amount (at least $100!) 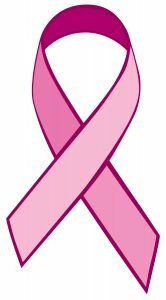 in honor of T, my grandmother, and anyone else who has suffered/is suffering from breast cancer. Let’s go, let’s get this par-tay started!